May - More Deluded Than Comical Ali? 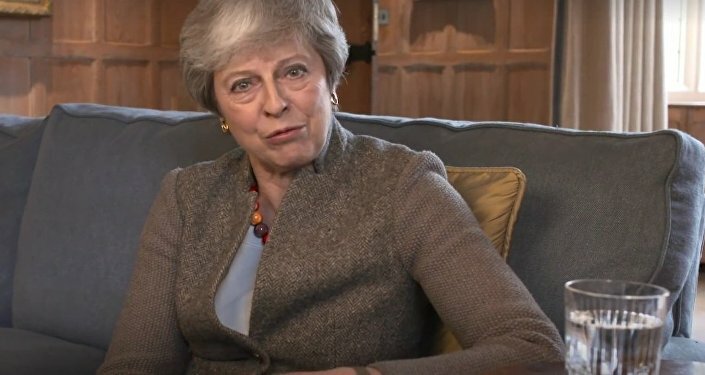 Did you watch Theresa May’s cosy comfy chat with the nation yesterday? Coming over as a cross between Donald Trump and Joyce Grenfell she attempted to communicate with us, the masses, over the heads of the Main Stream Media. 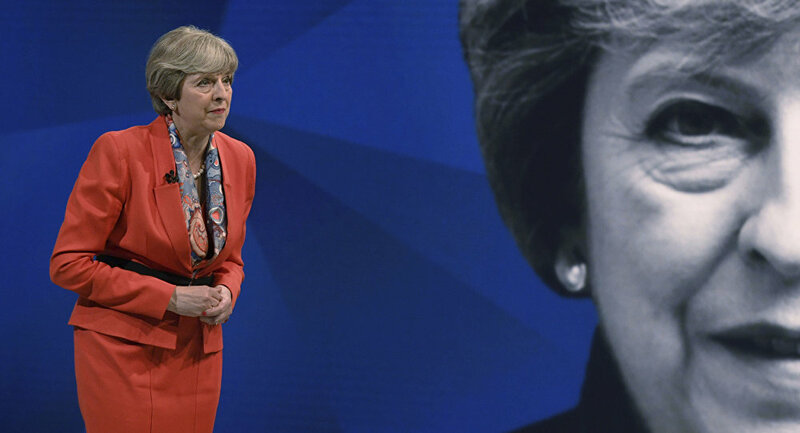 She failed miserably because one thing Theresa the Appeaser definitely lacks is the C word…CHARISMA. Or the E word …empathy. Her attempts at humour, even self-deprecation, went down like a bucket of sick and I should think I wasn’t the only viewer and patriot who was trapped between hysterical laughter and wanting to kick the TV in or throw the laptop out of the nearest window. It also made me yearn for her get up and start dancing again! It was clear to me that the hand of Robbie Gibb was visible in this risible charade. Gibb is the former boss of the BBC Westminster politics operation and it has to be said a fairly decent bloke who I have met several times. He is a big fan, like me, of USA shock jocks. He is now Director of Communications at number 10. He is also, as far as I am aware, a committed Brexiteer. So Robbie if you were involved in this pitiful p*ss poor performance hang your head in shame. You may not be aware but he is also the brother of Nick Gibb the Tory Schools minister but we won’t necessarily hold that against him! But just what was deluded, almost demented, Theresa trying to do? Not content with getting into bed with Comrade Corbyn and essentially making him de facto PM she now seems to want to rip up her manifesto and sign up to a Customs Union. So effectively we will have no say but still pay and I would suggest that this country would be more shackled to the EU than before Cameron gave us the blooming referendum. Did she really think this soft soap approach would work on a population that wanted, voted and are now demanding out of the EU? Would this work on the people of the UK when they can all see clearly what she has done even if they were Remainers? This woman has effectively turned the UK into a Tin Pot dictatorship. I am just waiting for her to turn up in the Kenny Everett Dictator uniform jacket with the massive shoulder pads and thousands of medals. Her speech to the Nation was also reminiscent of Comical Ali in Iraq who said the USA would never take Baghdad whilst on the screen behind him we could all see the Tanks on the street. This is the real point she has not only betrayed Leavers but she has decided that democracy and the power of the vote has no value and is over. If she continues or is allowed to continue down this path she will not only destroy the Conservative party she will destroy our very democracy and society. Today the Times newspaper report on a Hansard poll that states Britons are rapidly losing faith in their politicians and are looking for strong leaders with simple solutions. Can you blame us? More than half of us also said that the UK needed a “strong leader willing to break the rules”. Imagine if Trump or even Thatcher was in control of our negotiations with the EU? Can you, for even a Nanosecond, believe that our country would be in the chaos it is under May and her bunch of Merry Muppets? This statement in just one sentence illustrates how the MSM are in bed with the Politicians and singing from the same hymn sheet. They too are not on the side of the people. I don’t think populism is an infection. Rather it is a movement spurred on by cynicism and the abject failure of politicians and the MSM to address the desires and demands of the voting public for over twenty odd years. 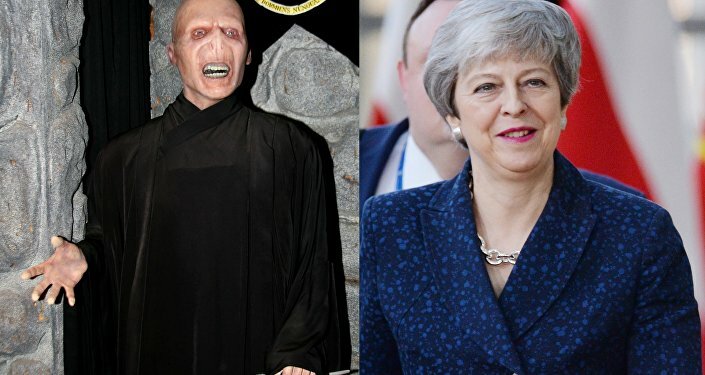 We voted for Brexit, the USA voted for Trump and we even voted for what we thought was a Right-wing Tory party (more fool us) BUT we never ever voted for the people who really run this country. The only thing that has infected the body politic are the Cultural Marxists and Common Purpose fools who no one ever votes for but tend to hold all the positions of power in education, social work, health the police, the judiciary and any other major institution. These people have a completely different attitude and outlook to the vast majority of us and they are exemplified by the likes of Jon Snow and his ‘so many white people’ comment. These are the people who have almost turned our police force into a social service too afraid to confront violent thugs on the streets. These are the people who have turned our justice system and our prison service into a laughing stock both to the villains and the rest of the world. These are the people who despise our armed forces and are almost orgasmic if one of our boys steps out of line. These are the people pushing the Tans lobby down our throat. Finally, these are the people who actually hate our country, our traditions and our culture. BUT HAVE YOU OR ANYONE YOU KNOW ACTUALLY EVER VOTED FOR THESE PEOPLE?! Of course, you have not. No wonder that there are populist movements growing in Italy, Hungary, even Germany with the AFD, and of course in the USA and now in the UK. Believe me, the Establishment and their chums in the MSM including the Times ain’t seen anything yet! If Tin Pot May allows the EU elections to take place Farage and Batten will clean up. The local elections, as illustrated by last weeks’ by-election, are going to have historically low turnouts but Council leaders in the Black Country and Peterborough are also already sending out the panic and warning signals that the two main parties are going to be wiped out by a newly resurgent UKIP. Just wait until Farage’s the Brexit Party kicks into gear. We the people are fed up of living in an almost third world country even though we are the fifth largest economy in the World. We are fed up of people living on the streets whilst we still fritter away and ringfence 12.5 BILLION a year in foreign aid. Brits of all colours and creed are fed up of not getting social housing or their kids into the school of their choice or even being able to get a doctor or dentist, let alone an operation in our collapsing health service. Brits are sick to the back teeth of knife stabbings and gun crime and the ceding of our streets to the feral, the feckless and the downright criminal whist the likes of Jon Snow and most politicians pontificate about multiculturalism or trans rights. When Trump used social media, he connected with Americans because he addressed their concerns and despite the media and the whole political class, including his own party, being against him and smearing him he still won. When he did take office, he did exactly what it said on his election can and he is, despite fierce opposition, making America great again. Well if that is populism and even if that is dangerous give me a large dose of it now as I think I and millions of Brits want to drain our swamp and want a leader with a backbone who will put Britain and the British first.